Of all the teen movies that were produced in the '90s, few are as universally acclaimed as 10 Things I Hate About You. For her latest Throwback Thursday Instagram post, Gabrielle Union shared a 10 Things I Hate About You cast picture that won't just give you nostalgia, it will remind you of just how pivotal the film was for its young stars. The cast included Union, Heath Ledger, Julia Stiles, Joseph Gordon-Levitt, and Larisa Oleynik — all actors who went on to make their mark in film and television. The modern update of Shakespeare's The Taming of the Shrew is beloved by its fans for a number of reasons. It featured one of the decade's most openly feminist heroes in Kat Stratford, and it's notable for featuring a series of love stories that were more about loving people as they are than teens changing themselves in hopes of being loved. While it didn't reinvent the teen movie wheel, it did pair a captivating story with a cast of actors who were just waiting for Hollywood to see their full potential. 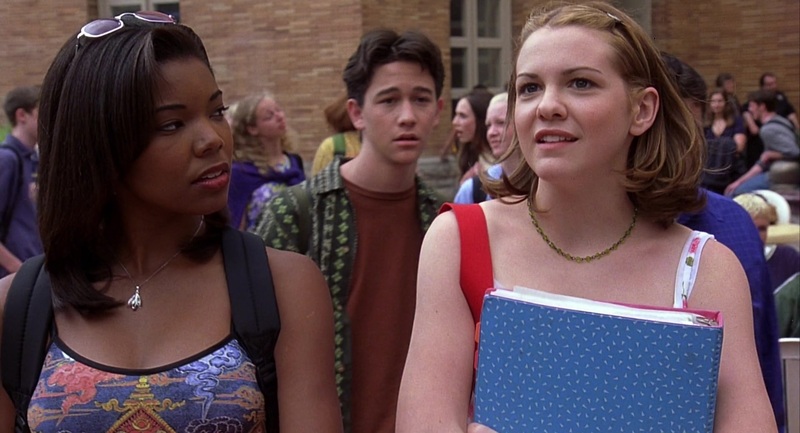 In the case of Union, 10 Things I Hate About You was her first film role. The actor has worked steadily ever since, and now she's the star of the hit series Being Mary Jane (and she had a major role in 2016's festival favorite Birth of a Nation). Her fellow castmates have had equally successful careers, with the late Ledger being a particular standout thanks to his iconic turns in Brokeback Mountain and The Dark Knight. His career in Hollywood was cut tragically short, but there's no denying he left his mark on the history of cinema. In her Instagram post, Union made sure to offer a special tribute to Ledger. 10 Things About You was just as influential in the careers of the rest of its cast as well. Stiles' will likely forever be associated with the queen of sarcasm that is Kat, but her subsequent roles have been just as richly drawn. From her role as a steely agent in the Bourne franchise to a killer arc on Dexter, she's moved seamlessly from teen movie superstar to portray a bevvy of complex, adult characters. The same can be said for her onscreen sister Oleynik, who segued from The Secret World of Alex Mack to Mad Men without missing a step. Then there's Gordon-Levitt, who went on to make playing lovelorn characters like Cameron one of his most reliable go-to moves. Would he have starred in 500 Days of Summer without so earnestly wooing Bianca Stratford? Who knows, but his teen movie credentials certainly didn't hurt. These days he's not only considered one of Hollywood's best actors, he also runs a creative empire called hitRECord. For anyone who came of age in the late '90s or early '00s, 10 Things I Hate About You will always be a source of nostalgia, but Union's photo is the perfect reminder that it was also a launching pad for the careers of a group of actors who are still entertaining the world with their incredible talent and diverse roles today.